Home / Celebrities / Celebrities & Fitness Trainers / Fit Bottomed Girls’ Jennipher Walters Shares Her Fit Lifestyle! 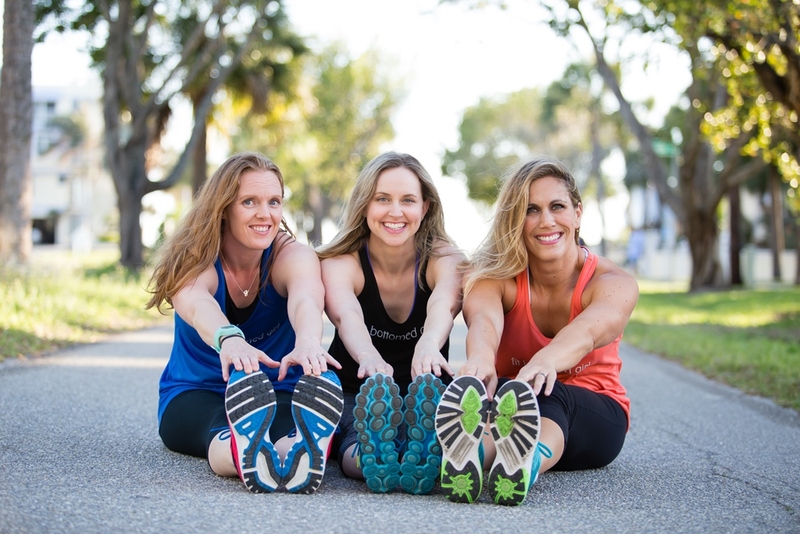 Fit Bottomed Girls’ Jennipher Walters Shares Her Fit Lifestyle! The Fit Bottomed Girls were a team originally made up of Jennipher Walters and Erin Whitehead. While the pair is sometimes so twin-like it’s scary, they both bring different perspectives to the FBG table. Due to the site’s increasing popularity, Jenn and Erin have expanded the FBG team to include a new partner (FBG Kristen!) and various contributing writers, bringing new content and other fun, fresh perspectives to the site. The FBGs pride themselves on being real girls — not gladiators. They understand that health and fitness should be about enjoyable activities and the occasional treat, not about torturous workouts and deprivation. As co-founder and co-author of The Fit Bottomed Girls Anti-Diet and Editor-in-Chief at Fit Bottomed Girls and Fit Bottomed Zen, Jennipher has several fitness credentials under her belt: She is an ACE-certified personal trainer, health coach, and advanced health and fitness specialist, and an AFAA-certified group exercise instructor. Jenn has a journalism degree from the University of Missouri and an MA in health journalism from the University of Minnesota. She has also written for numerous online publications including Shape magazine, The Huffington Post, SparkPeople and Diets in Review. In her free time, Jenn can be found doing HIIT workouts with her husband, making a mean green smoothie, running with her pup and snuggling with her daughter. Fit Bottomed Girls’ mission is to show the people of this world that being healthy doesn’t have to be boring. They’re committed to creating content, products and events that inspire and empower women (and men!) to find the fun in fitness, ditch the diet drama and embrace their inner confidence to help them realize that, yes, they are worth taking care of. It’s not about having the perfect body, seeing a certain number on the scale or changing yourself into something you’re not. So we thought of catching up with one of the founding members of The Fit Bottomed Girls’ Jennipher Walters! Check out her exclusive video message for our Women Fitness Readers!